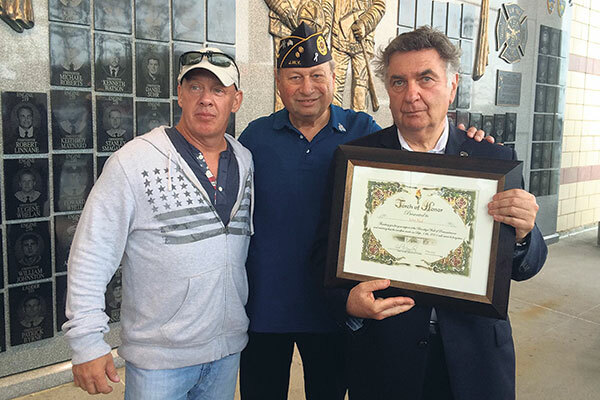 Caldwell resident Sol Moglen, a champion of military service veterans and first responders who perished after terrorist attacks of 9/11, recently received two honors for his efforts. 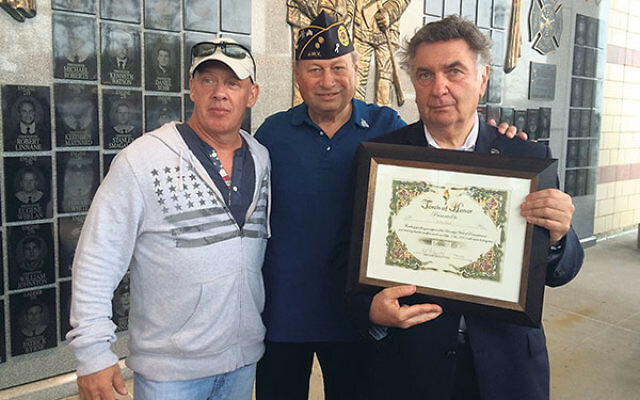 He was elected commander of the Kaufman-Harris-Cone Wayne Post 695 of the Jewish War Veterans of America in Wayne and was named an honorary deputy chief of the New York City Fire Department. Moglen, a native of Brooklyn and a member of Congregation Agudath Israel in Caldwell, was instrumental in having a 9/11 Wall of Remembrance built at MCU Park in Coney Island, the home field of the minor league Brooklyn Cyclones.